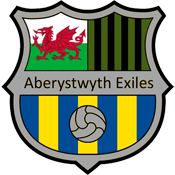 Aberystwyth Exiles 2nds managed to get back to winning ways in their second game of 2016 against Roath Raiders, completing the double over their opponents. The win puts the club upto sixth in the table, and with eight games left to play there is still plenty to play for. 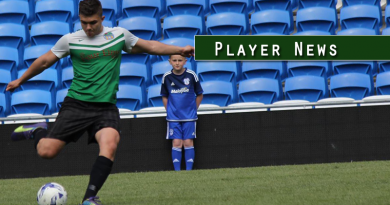 Matthew Rowley who again had to name a changed side from the previous Cup game against Cathays United. New recruit Chris Jeacott made his debut in goal, Ben Jones made his full debut at right-back. Liam Butler and Adrian Smith played together at the back with Robin Street on the left. Captain Nate Grant anchored the midfield with Yusuke Suzuki and Aled Evans attacking, Adam Compton and Matty Thomas on the wings and Pete Nicol leading the attack. The first-half started well for the Exiles with the likes of Street, Smith and others all having efforts on goal. The game was a scrappy affair played on a poor pitch, Exiles were guilty of not finding the killer pass or decent effort on goal and were 0-0 at the break. Roath had a few of their own chances, dragging the odd shot wide but it wasn’t until the 2nd half that they really threatened, hitting the bar after a spell of pressure. This may have been due to a tactical change which changed the formation from 4-1-4-1 to 4-4-2, leaving more spaces out wide when the game was stretched. To try and change things, Kitts was brought on for Compton, and Ari Thomas replaced Smith. This did however seem to stir the Exiles, and they got their reward with a break down the right with Kitts and Nicol, whose cross to the backpost found Evans who nodded beyond the goalkeeper. 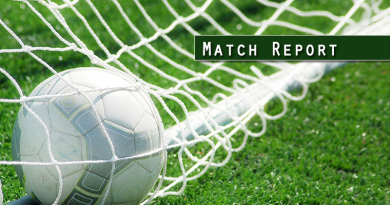 A late penalty appeal for Roath was turned down despite a possible handball by Matty Thomas, and Exiles made one final change, adding Bowen to the midfield to close down the game, before holding on for the victory and more impressively, a clean sheet. Aled Evans was man of the match to cap an impressive display. The club now await their next fixtures.